Mitchell Katz is a survivor. He launched his eponymous winery in Livermore Valley in 1998 and four years later moved into the historic Ruby Hill tasting room, a massive yet beautiful old brick building that dates back to 1887. 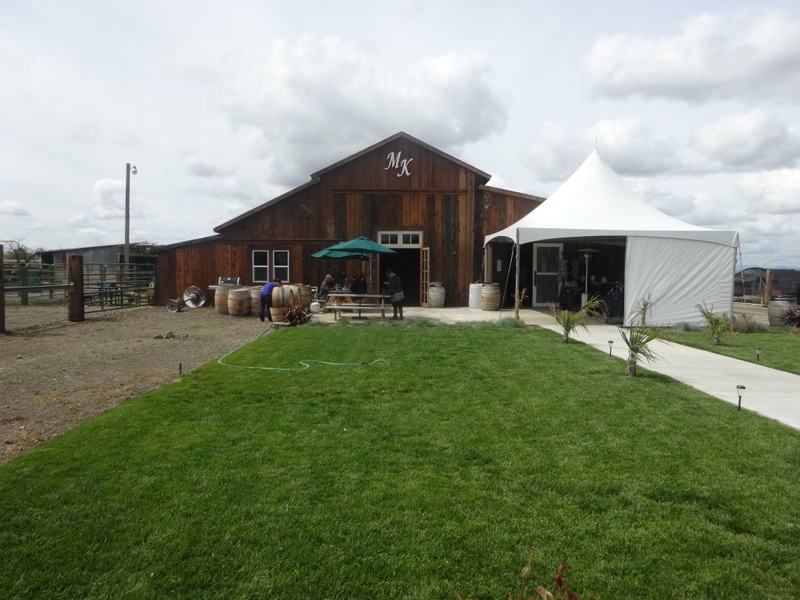 In 2012 Mitch was basically forced to buy out his business partner in the winery, and left to find a new home for his winery and tasting room. He had challenges securing building loans for his first chosen location, then met some community opposition opening his current location. 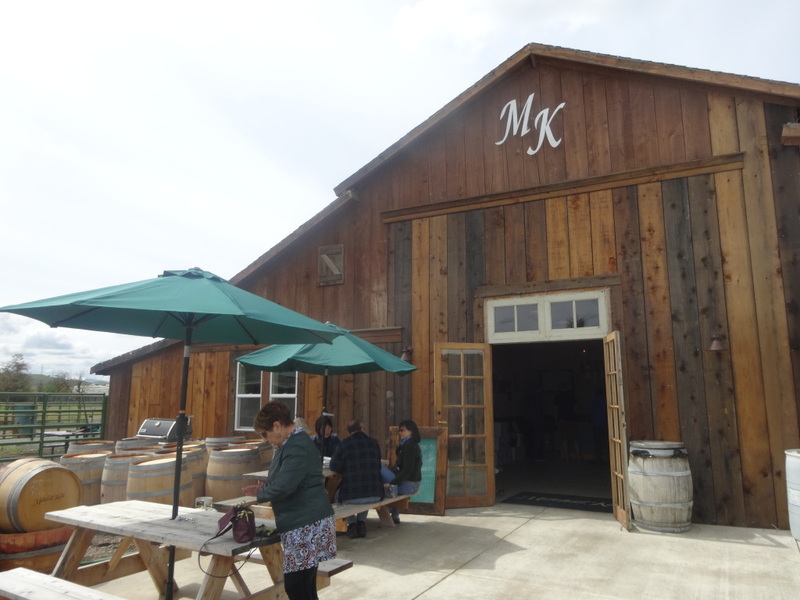 Even after opening the new Mitchell Katz Winery location it’s been a rocky road. Mitch is still wrangling with Alameda County to get permits for permanent bathrooms at his tasting room. Add to that a bitter divorce and the recession, you might think that all takes a toll. Mitch is still standing. “We went from the penthouse to the outhouse,” he jokes, referring to the fact he has to have porta-potties in lieu of bathrooms for the time being. “But we still have great wines and a great staff.” In fact, Mitch says he’s selling more wine out of his current tasting room on Buena Vista Ave. and feels he is also making better wine now. I remember visiting Mitch years ago for a profile on him for the TV show I produced, In Wine Country. We thought it was interesting that he was a foreman in construction, a pipe fitter, by day, and made wine by night and weekends. Mitch still has that day job. He says when he started Mitchell Katz he was winery bond number 16 in Livermore Valley. 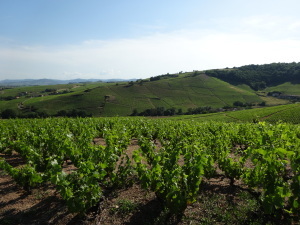 Now there are more than 50 wineries in the appellation. Mitch knew he wanted to buy the Crackerbox grapes as soon as he visited John, now 83, in the shop where John kept his race boats and also built hot rods. “You could eat off the floor,” says Mitch. “Everything was immaculate. I was like OK this guy is gonna do things right.” Mitch says Crackerbox Vineyard is meticulous and so is the fruit he gets from it. On the day of my visit, the second day of the annual Livermore Valley Barrel Tasting Weekend event, the Mitchell Katz tasting room is beyond packed. John and Courtney are here offering barrel samples of the 2012 Sangiovese they grow, from one barrel of neutral French oak and one barrel of new American oak. Courtney says Mitch’s blend is typically three quarters neutral French oak and one quarter new French oak. “This is the first time he’s ever put Sangiovese in new American oak,” she says. “He’s branching out and trying new things.” Both Sangiovese wines are smooth, but the wine in the American oak barrel is much more fruit forward. They’re selling futures of this Sangiovese, as well as futures of Mitch’s very popular Cabernet Sauvignon “Fat Boy.” The name is fitting; this is a big wine, fat with fruit and tannins. Mitch shows me the glass they give out at the Fat Boy release party. It’s a huge Riedel glass, with a bowl large enough to hold an entire bottle of wine. I want to go to that party. 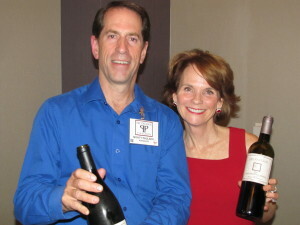 All the wines Mitch makes are single vineyard, Livermore Valley appellation wines. His Chardonnay comes Shadow Hills Vineyard, right down the road from the winery. The 2012 Chardonnay is lovely, fruit forward yet has great acidity and crisp citrus and pear fruit, with a hint of tropical notes. He puts the wine through partial malolactic fermentation, and is barrel fermented and aged about 11 months. It’s got a rich, creamy texture on the palate without being a big flabby wine. At $18 a bottle I tell Mitch he should raise his price. Then he tells me about the deal of the century, that you can buy a case of the 2012 Chardonnay for $100. “It flies out the door,” he says. “My staff tells me raise the price raise the price, and I say we’re fine we’re not loosing money.” For Mitch, keeping his wines at a good price for his customers is more important. Dr. Greist passed away, but his wife and kids still take care of the vineyards. Mitch continues to buy grapes from them. “My growers are not only my business partners, they’re my friends,” he says. He also says by having the growers name on the bottle, be it Shadow Hills or Crackerbox, helps the growers become invested in the quality of what’s in the bottle, which starts in the vineyard. “Whenever the Greiss family goes out to dinner, guess who’s wine they’re bringing? Same thing with John and Courtney,” Mitch says. That in turn helps get the word out about his wines. The Mitchell Katz 2011 Pinot Grigio, crisp with racy acidity, comes from the Butner Vineyard in Sunol, not an area I usually associate with grape growing. 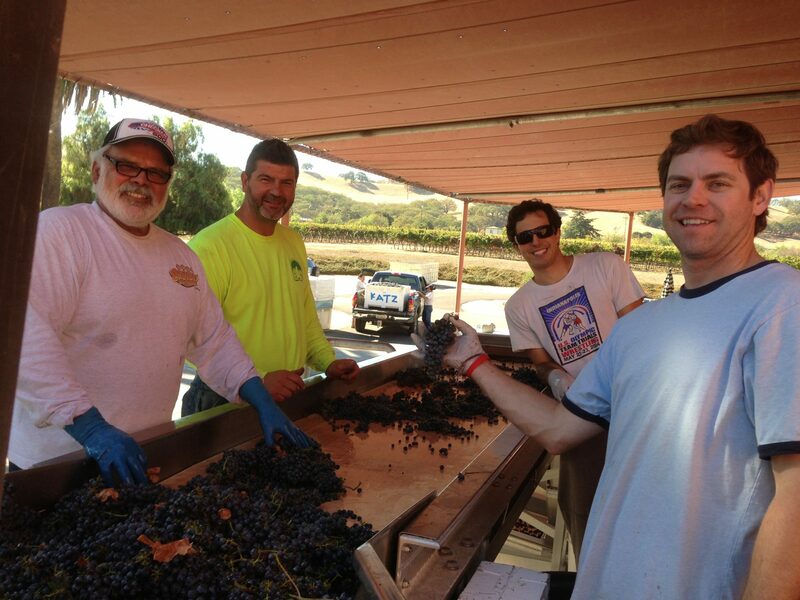 “The vineyard is tucked away in the hills, we get six acres,” Mitch says. Mitch also feels Livermore has done a great job, especially in the past five years or so. “Livermore has come a long way.” When he first opened in 2002 Mitchell Katz was one of only a handful of nice tasting rooms in the valley. Now there’s a wine trail, with loads of wineries with very nice tasting rooms, offering a chance to actually meet the winemaker and winery owners. Most are open only one weekends or for events. But the Mitchell Katz tasting room is one of the few in the valley now open seven days a week. Mitch helped raised the bar and others followed and continue to follow.